ZURB 2016 is a Success! It was another amazing ZURB Wired event this year. It goes without saying- we set some ambitious goals that kept us working all the way through the entire 24 hours. There were many ups and downs throughout the day, but we came together as one team to make a tremendous amount of marketing things happen for this special nonprofit. Let’s a take look back at everything we were able to accomplish for Life Services Alternatives. 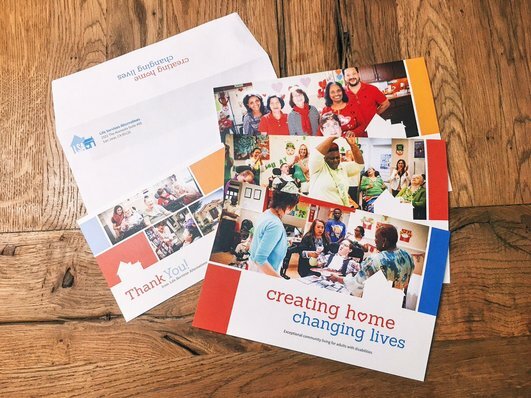 The print team had big goals and did an amazing job getting the print collateral completed. Keep in mind, we started the morning with no creative direction and by 1AM we had printed pieces in hand. We’d like to thank everyone who supported us and stopped by to cheer us on since 8AM yesterday. Philz Coffee provided our coffee- they're super nice! Frost Cupcakes in Campbell gave us delicious treats. Zazzle and Big Ink Printing brought our designs to life through their expedient printing. Hayden Bursk (Oh Travioso) provided amazing music for our videos. Special thank you to our families, friends, and especially our volunteers for donating their time and energy: Jim Manalisay (Videos), James Stone (Web), Courtney George (Design), Mark Hayes (Engineering), Caleb Winter (Web), Shelby Bearschild (Health), Preston McPeak (Design), Nick Witter (Web). What made this effort even more exciting was our ability to share the work as it unfolded through our social channels (all 24 hours!). It's our hope that this type of effort can inspire other groups and nonprofits to work together in unconventional ways to make fantastic things happen in their communities. We captured the entire effort with over 24 blog posts, 200 images, 20 videos. And finally, we’d like to thank the great people at Life Services Alternatives for making the ninth annual ZURB Wired an experience that will remain with us for a long time.